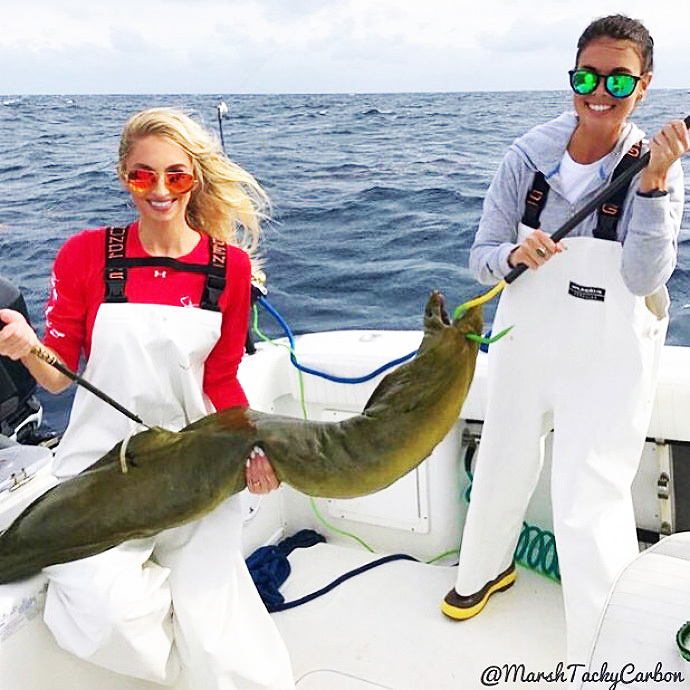 A surprise catch for these Florida deckhands: a Green Moray Eel caught on rod and reel and brought aboard with gaffs. Image: MarshTackyCarbon.com. Here is an image spotted on a fishing web site that should give every marine aquarist pause: remember this when a cute little Green Moray Eel turns up for sale at your local fish store. Gymnothorax funebris, the Green Moray, is found mostly in the Gulf of Mexico, Florida, the Bahamas, and the Caribbean south to Brazil. It occasionally ranges as far north as Nova Scotia. 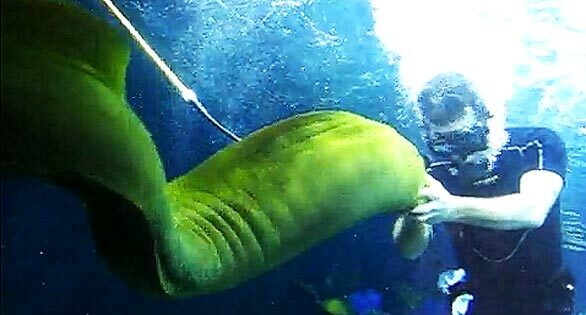 It can reach a length of 8 feet (2.5 m) and 64 pounds (29 kg) and is known to exhibit aggressiveness—more than a few divers have suffered nasty bites when they encroached on a big eel’s territory. Image from Marsh Tacky Carbon, a South Carolina company that makes high-tech carbon fiber gaffs, harpoons and other sport fishing gear.